As you sit down to file your taxes, you may be strategizing how to get the biggest bang for your buck. Saving money and boosting your refund is top priority, after all! So what kind of tax breaks are we looking for? 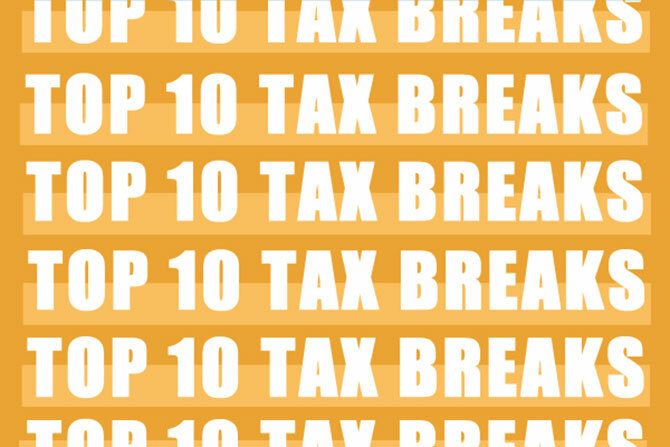 Each taxpayer will probably qualify for a mix of credits and deductions, but here are 10 of the most-used tax breaks out there. For taxpayers who can’t keep an eye on their dependents full time due to work or job searching, the Child and Dependent Care Credit (CDCC) is an awesome boost. You can use the credit toward care expenses for your child, your spouse or another dependent, so long as the person you hired is not a spouse, the parent of the person being cared for or one of your dependents. Worth: Up to 35% of care costs, limited to $3,000 for one dependent or $6,000 for multiple dependents. The Child Tax Credit (CTC) isn’t for care expenses; it’s simply a tax break for parents who juggle the costs of having a child. Your child must be younger than 17 and listed on your tax return as a dependent. Now, the CTC is phased out at certain income amounts ($400,000 for married filing jointly, $200,000 for everyone else), so be aware of your income and how it will affect your credit amount. Worth: Up to $2,000 for each qualifying child. You can recoup part of the CTC after the phaseout using the Additional Child Tax Credit (ACTC). The ACTC isn’t for an additional child—it’s an additional credit, so even if you only have one kid, you may qualify for the ACTC. The ACTC is refundable, too! You just have to meet the CTC requirements to qualify. Worth: 15% of your taxable earned income minus $2,500; limited to $1,400 per child. Have any dependents that don’t qualify for the CTC or ACTC? As per the Tax Cuts and Jobs Act of 2017, there’s a new Credit for Other Dependents. It’s non-refundable, but it is available for adult dependents (like parents and grandparents) and children over 17 years old. 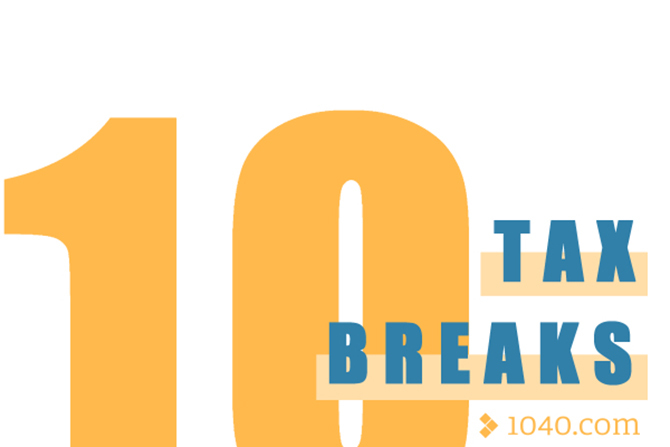 For low- and moderate-income taxpayers, the Earned Income Tax Credit (EITC) is an awesome tax break. Available to anyone from working families to single working taxpayers, the biggest qualifying element with this credit is that you have to be earning money as an employee or from running a business. Worth: Varies with the amount of income, the number of qualifying dependents, and the filing status of the taxpayer. It can be significant based on your tax situation, and it’s refundable. The Saver’s credit gives you a bit more incentive to save for retirement, and qualifying is simple; contributions to a retirement plan such as a 401(k), IRA or Roth IRA put you in the running for this credit. Worth: Up to $1,000 (twice that for married couples). The American Opportunity Tax Credit (AOC) is for expenses incurred at a qualifying institution for the first four years of an undergraduate degree. The best perk of this credit is that it’s partially refundable, so you could get a refund even if you didn’t overpay your taxes throughout the year! Watch out for the income ceiling, though: After you make $80,000 as a single filer (or 160,000 if you’re married filing jointly), the credit starts to decrease. Worth: $2,500, up to $1,000 of which is refundable. The Lifetime Learning Credit (LLC) is aimed at those working toward a post-graduate degree, or taxpayers who take post-secondary, career-related, or vocational courses over time. While it’s not refundable, it’s an awesome tax break for ongoing education. The LLC cannot be claimed for any expenses that are used to claim the AOC mentioned above. If you live in a state that has state or local income tax, you can deduct at least part of those taxes on your federal return. State and local sales taxes can be deducted in lieu of income taxes; if you live in a state with either no income tax or high sales tax rates, consider adding up the sales tax you paid (especially on large purchases) to see if it helps your tax situation. State and local property taxes can also boost your SALT deduction. Worth: Up to $10,000 ($5,000 if married filing separately). Donations to qualifying charities are deductible, but did you know that unreimbursed expenses from volunteering can also be deductible? That includes gas mileage and supplies; just about any expense you incur in the course of volunteering may qualify, as long as you are not reimbursed by the organization. Worth: Up to 50% of your adjusted gross income (AGI). The good news is that, when you file with 1040.com, you don’t have to come up with a complicated game plan on the front end. Just have your records handy and breeze through our simple interview, and we’ll do the digging for all those sweet tax breaks behind the scenes.